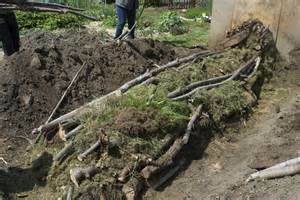 Hügelkultur is a composting process employing raised planting beds constructed on top of decaying wood debris and other compostable biomass plant materials. The process helps to improve soil fertility, water retention, and soil warming, thus benefiting plants grown on or near such mounds. Come learn how it works, how you can make one and see one in progress. This class is held past Fina Cafe on Old Last Vegas Hwy around the corner from Eldorado. Help keep this class free! Become a 2015 Member here for only $35 – includes all classes and tour. TAX DEDUCTIBLE! Become a worm farmer! Let red wigglers do the work of transforming your household waste into “black gold” vermicompost. This workshop will allow you to discover how simple it is to create an outdoor vermicompost bin from straw bales and salvaged materials. The class will cover what goes in a worm friendly compost bin and how to care for worms and harvest their compost. Duskin will also demo how to make an inexpensive compost tea brewer. 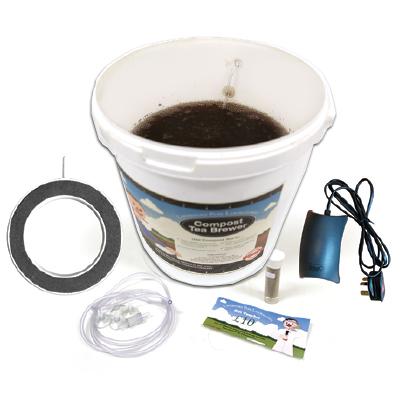 With a brewer, you can make a compost tea for your plants. The use of compost tea has been shown to increase plant growth and suppress disease. 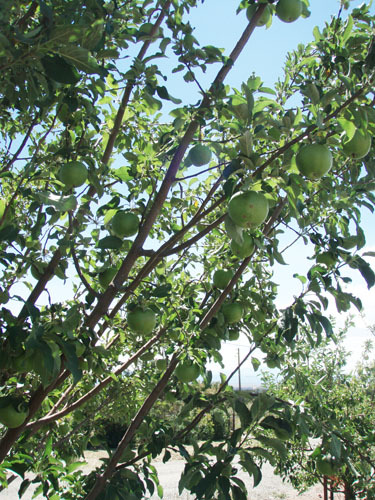 Learn what varieties of fruit trees do well in NM and how to grow them. We will have a meeting point for those of you wanting to help give rides or pick up a ride up to his property and follow us up there. More info on where to meet coming up by June 20 here. Come learn from the Master! Focusing on varieties that are drought tolerant and adapted to high pH, Gordon grow species trees, shrubs, and grafted fruits for our area. His stock is grown with organic methods and he practices holistic orchard management. He has many heirloom and uncommon varieties of grafted apples, apricots(sometimes), plums, pears and cherries. Some of them may be new to you but are an opportunity for you to grow varieties that have all but disappeared from our markets. His grafts are on rootstocks carefully selected to match climate and soil types in this area. His species trees and shrubs are easy to care for and will provide screening, habitat and food for wildlife and yourself. He believes in selling small caliper trees with well-developed root systems. The fabric root bags we plant in are key factors in building a fibrous root structure. Smaller caliper trees establish more quickly with less transplant shock, and grow more vigorously in difficult sites than large caliper trees. This entry was posted in Education Classes, Growing, GROWING VEGATABLES, Uncategorized and tagged fruit tree class in Santa Fe, Gardening classes in Santa Fe, Hügelkultur class in Santa Fe, home grown new mexico education class, vermicompost class in Santa Fe. Bookmark the permalink.